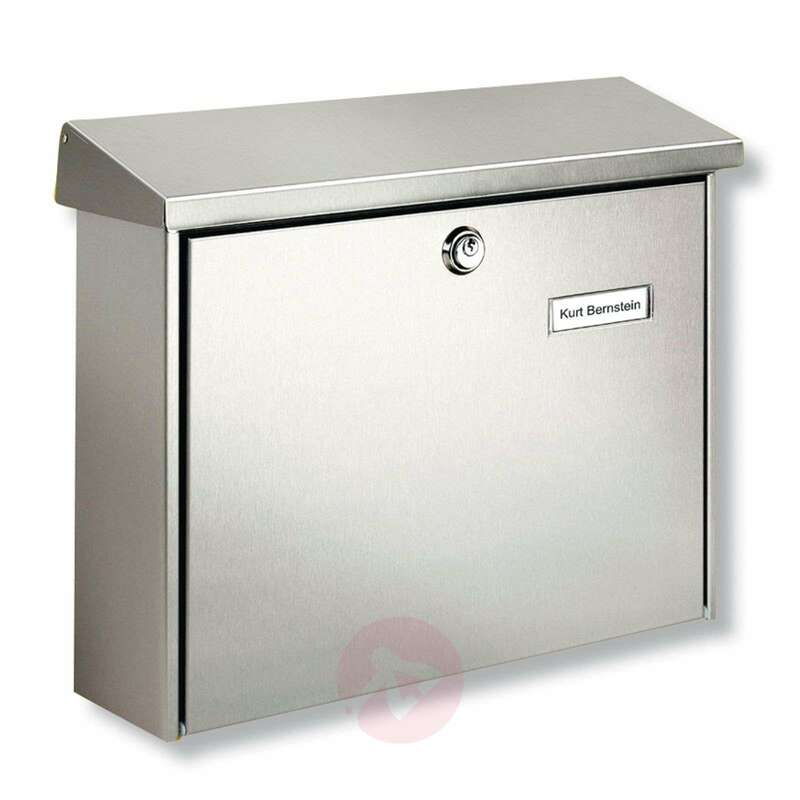 The spacious letter box Amrum handles post sized up to C4 and is made of stainless steel with an opening stop mechanism for easy and safe post collection. The flap covering the letter slot also protects the contents against rain. A window for a name plate can be found on the front on the right. 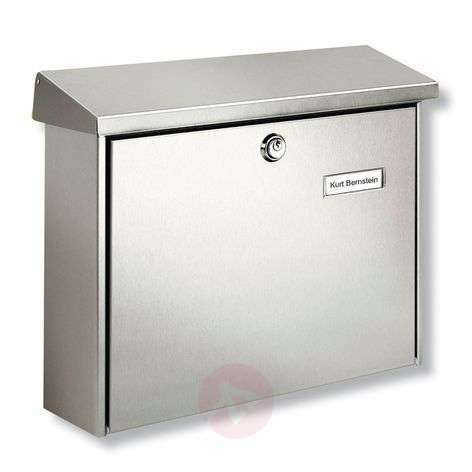 The letter box is sealed with a transparent protective coating.